Earrings are certainly the most used accessories by Brazilian women. They are practical and have the power to complement the look or just be there as a touch of femininity. Wearing earrings is such an ingrained act that there are those who do not leave the house without putting on an earring, however simple it may be. 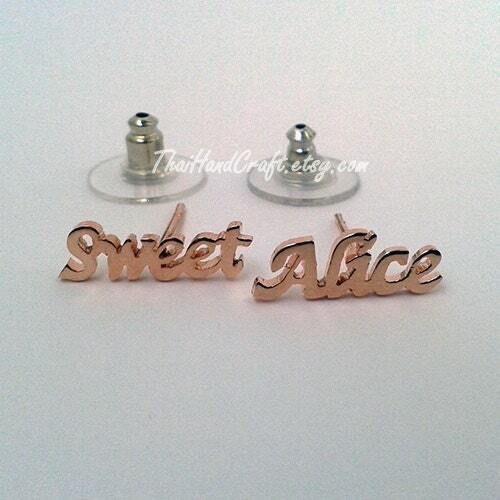 Earrings are available in a variety of designs, sizes and materials. 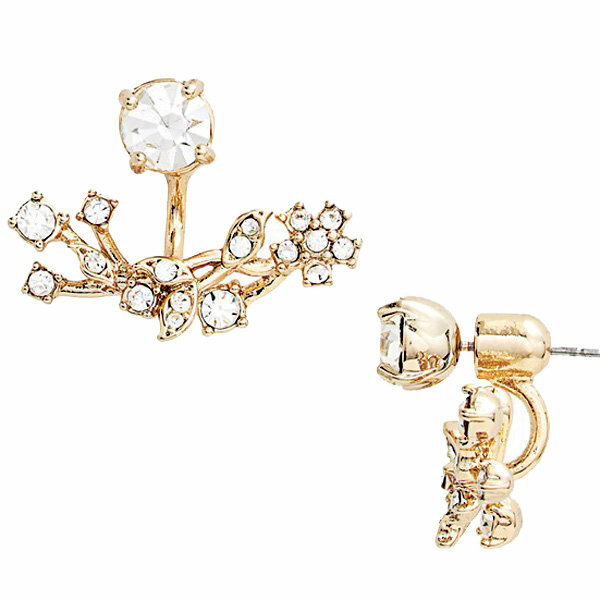 For every occasion there is an ideal kind of earring. Here you will know which are the best earrings for each type of face, know the types of earrings available, the advantages and disadvantages of each type of clasp, where to find beautiful earrings to buy on the internet and more! Check it. Knowing your face type and which earrings can enhance your look helps to compose a beautiful production that will make you safer. No tip is a rule, but in the hour of doubt it is good to have a path that will guide you and make your production easier. We talked to the designer Flávia Barros, responsible for the brand Flor Morena and exhibitor of the fair O Mercado, which told us which earrings are more suitable for each type of face. The oval face is one in which the height of the face is 1.5 times greater than the width. According to the designer, this face is well harmonious and looks good with any type of earring, without exceptions. The square face shows forehead, cheekbones and jaws of the same width. If the intention is to disguise the width of the chin, the designer recommends: “medium earrings and above the chin to avoid volume in this region”. As for the formats: “in a circular or straight line without pendant are the best options”, ends Flavia. The round face has the same width and height. For this type of face Flavia recommends: “it is more harmonious with long and thin earrings with pendants at the end or geometric to stretch,” he says. If the intention is to fine tune “avoid the circular and bulky close to the ear,” concludes the designer. The triangular face is the one that presents wide jaw and narrow forehead. According to Flávia, this type of face looks great with small earrings that concentrate the volume close to the ear. 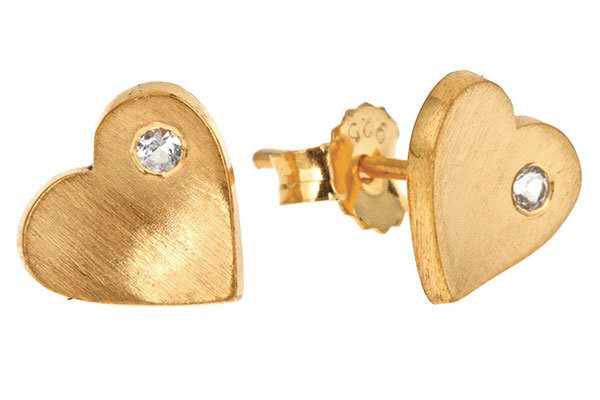 The button-sized earrings are small and unobtrusive, often worn on a day-to-day basis. Nothing prevents it, too, from being used on more formal occasions such as parties and may even be theearring size chosen by the bride at her wedding. There is no restriction to use this type of earring and it is harmonious on any type of face. 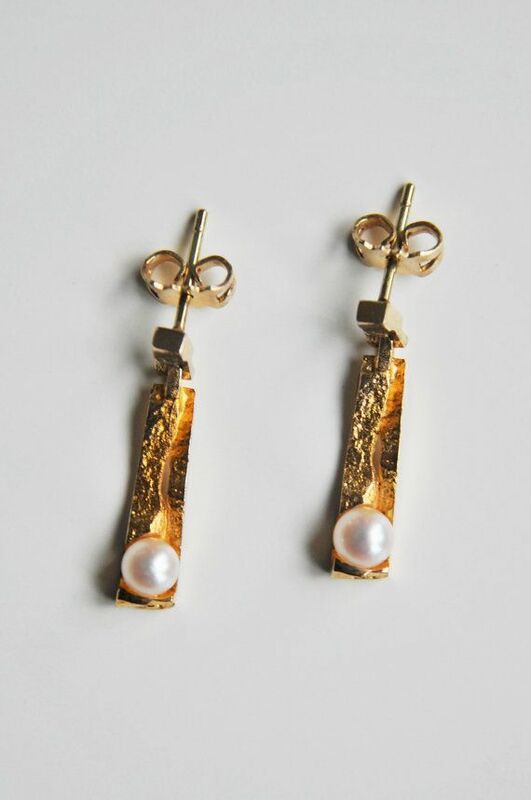 The earrings of this size give lightness and can compose both more discrete productions and serve to harmonize a production that already contains many elements. 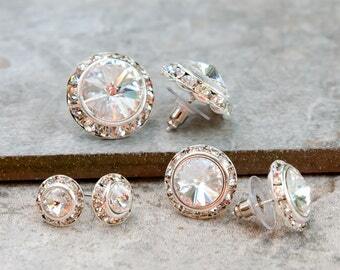 The options with stones and sparkles are the best options for more formal occasions. 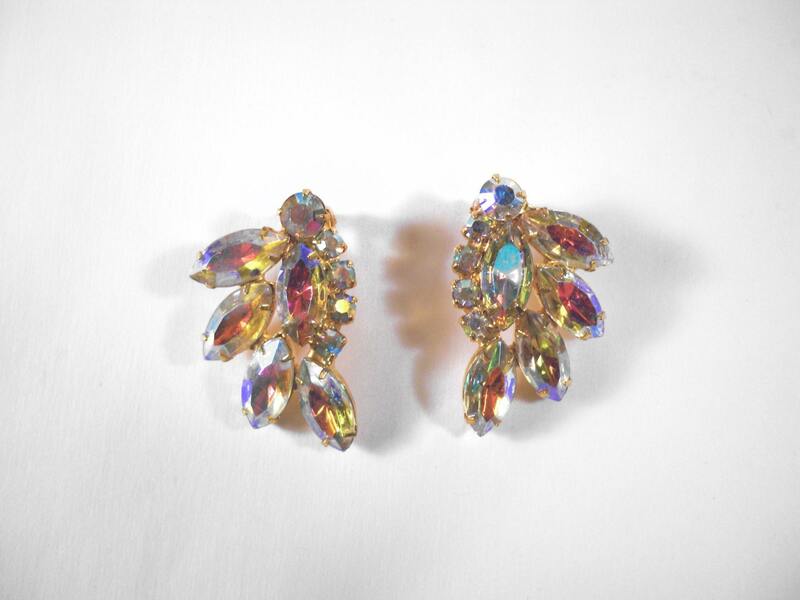 The earrings of this size bring together the discreet and the flashy. It all depends on the material of the earring. 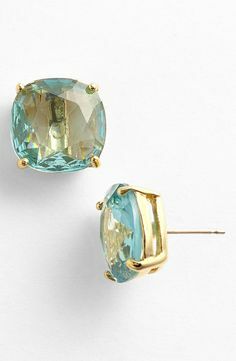 Those with stones, more glitter and with wide pendants fall well at parties and events, as the earrings in glass or resin are more discreet for the day to day. The medium earrings are the ideal size for triangular faces, since very large earrings on this type of face can increase the jaw. 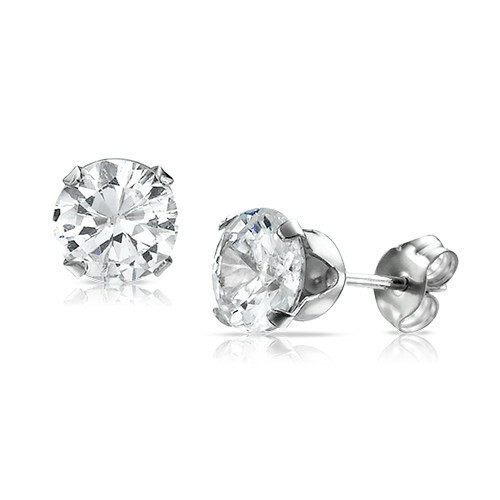 An average earring with volume in the lobe region fulfills the role of harmonizing the look on triangular faces. This size of earring allows the incorporation of several materials in the same earring: several stones, feathers, fringes (of fabric or metallic), among others. The material always makes the difference to know on what occasion is more appropriate. 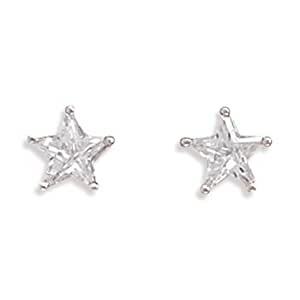 The brighter ones get better at night and give more sophistication, since the earrings in simpler and dull materials look good during the day and more informal situations. 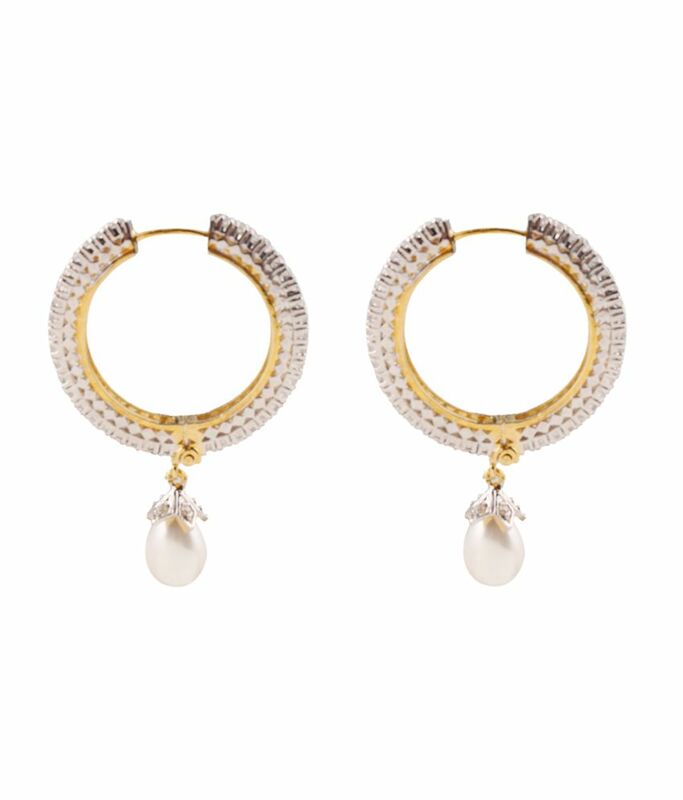 In round faces the long and thin earrings are the best choice if the intention is to tune it. In square faces, very long lengths are not indicated because they can increase the maxilla. Already on inverted triangle faces, long earrings with jaw volume are a great choice. Because it is long and bulky, this type of earring steals all attention to it, being the main accessory: “the maxis do not match any type of necklace, ideally the neck is totally free, so they do not fight, So abuse the bracelets, “says Flavia. Rings can be used at any time and combined with a myriad of accessories. One should consider the size of the hoop and whether it has any props. With the smaller and simpler it is possible to invest in more accessories in the look, already the bigger and ornate, as well as the maxi-earrings, are the main point of the accessories. The fringes of the earrings can be metallic or fabric. 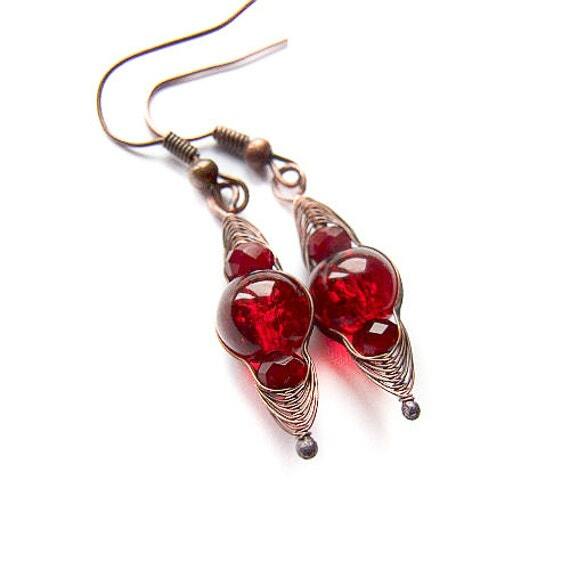 The earring may only have fringes or may be composed of other elements, such as stones. “The fringes are ultra feminine and have natural movement that give a touch of sensuality during the day or night,” says Flavia. 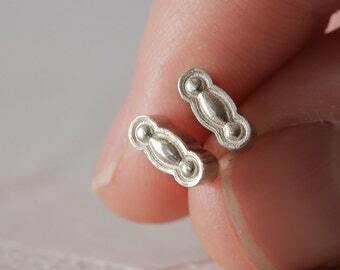 This type of earring can be combined with other accessories, always remembering that the bigger the earring, the smaller the other accessories of the production should be. 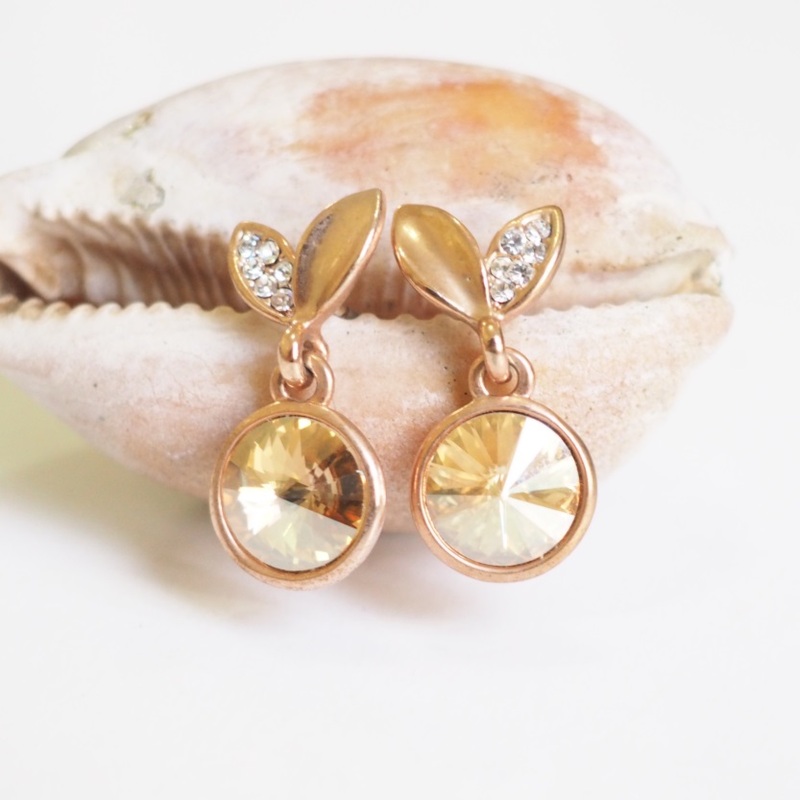 The party earrings are sophisticated, of good quality and can present stones and sparkles. To correct the composition of the look, Flavia guides: “the ideal is to be harmonious with the clothes, from the choice of the color of the metal to the stones used”. It is also important to measure the proportions of brightness in the look: “it is valid to balance the brightness of the clothes with the one of the earring, choosing which one to carry more”, ends Flavia. 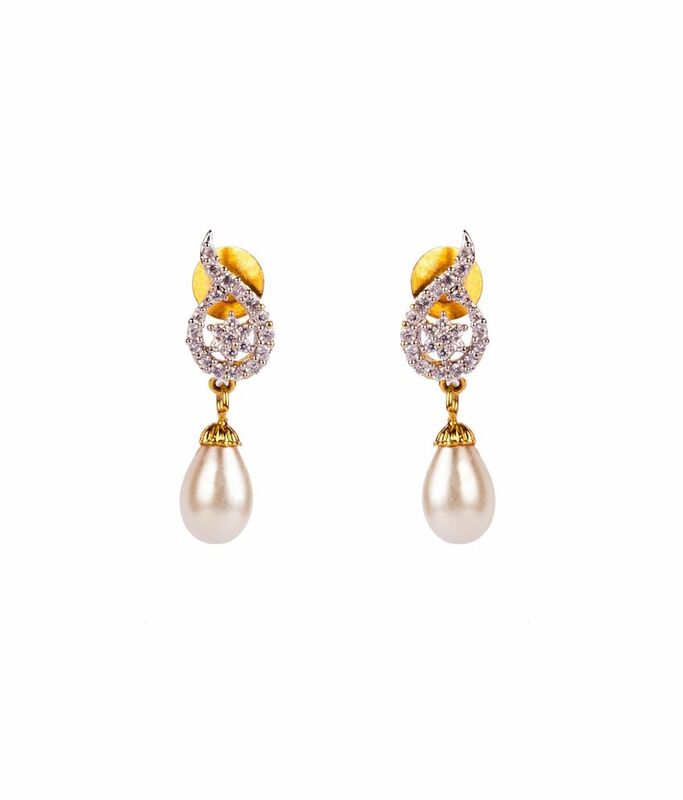 Redness, swelling, pruritus (itching) and mild pain in the region where the earring was worn are some allergy symptoms caused by the attachment. The biggest cause of allergies after and when wearing earrings is the presence of nickel sulfate, but allergies can also occur with the presence of other substances: “earrings may have tinctures, rubber and other materials that can cause allergic contact dermatitis,” he says. The Prof. Dr. Maurício Domingues Ferreira, coordinator of the IPEMED course in allergology. 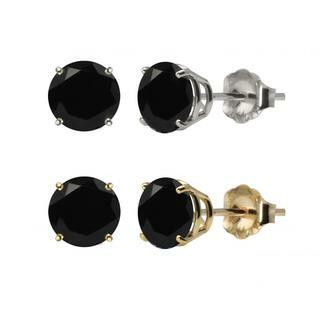 The only way to know if the earring has nickel or other component that causes allergy is to ask for the components of the product at the time of purchase. To be sure of which allergy-causing component you need to consult a specialist: “If the patient has a history of ear injuries suggestive of an allergic contact dermatitis, a contact test can be done to identify the suspect component To cause allergy, “the allergist recommends. Many people are not allergic to nickel and can wear earrings and other accessories with the substance without any problem: “only individuals predisposed to genetically and exposed to nickel sulfate in an earring, become allergic,” comments the allergist. The only way to avoid allergy is to avoid earrings that contain nickel or other allergy-causing substance in the individual. Persisting the use of the earring with substance that causes allergy can make the picture worse. Does Nail Base On Earrings Prevent Allergy? Passing nail base on jewelry can be a way to preserve them and prevent them from peeling or darkening, but can you also avoid allergies? Prof. Dr. Maurício Domingues Ferreira: Using nail base on earrings may not be effective in preventing allergic contact dermatitis. Of course, by covering the nail-based earring in such a way that no skin contact is made with nickel, contact dermatitis will not occur. But there will still be a chance that the individual will become allergic to the nail base if he is genetically predisposed to it. Therefore, if the person already has allergy symptoms when wearing earrings, the best solution is to consult a professional to be sure which is the substance causing the allergy. It is also important to make sure at the time of purchase that the earring does not contain the substances that cause allergy. What Types Of Stones Can The Earrings Have? Precious stones: Precious stones are also natural stones. The difference lies in the stonework, quality and rarity with which this stone is found in nature: “what determines the value of the stone is the purity that this gem (stone) possesses, the more crystalline and without grooves, the more expensive,” says Flavia . “Therefore every precious stone is natural, but not every natural stone is precious,” concludes the designer. Advantages: As it compresses the ear lobe, it better supports the weight and keeps it firmer.Besides not needing a pierced ear. Disadvantages: They are easier for loss and allergic people or even nervous of the pressure tend to take it out in the middle of the period they intended to use it. 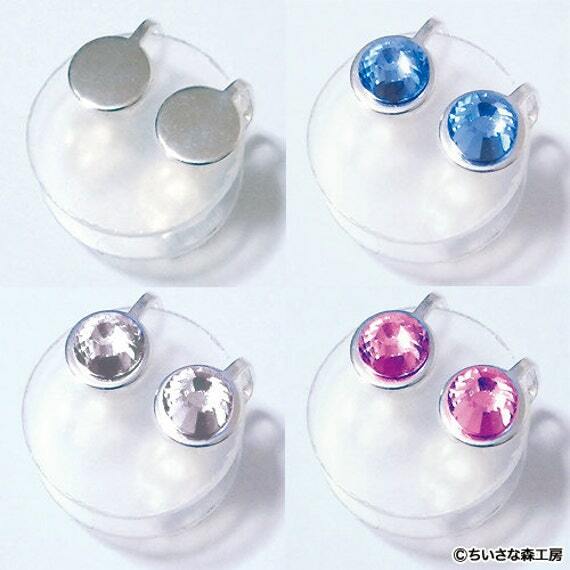 Advantages: It fulfills well the role of sustaining an earring with light to medium weight, besides not to hurt the ear. Disadvantages: For heavy earrings, it slides more easily, just as it does not fit for wide ears. Advantages: For flaccid ears, heavy earrings or wide buttons, it supports the earring without leaving the ear looking “melted”. Disadvantages: For chubby ears the discomfort and pressure is greater, holding the circulation. Advantages: For people with torn ears and using drawers, it is possible to wear earrings of all sizes without disturbance. 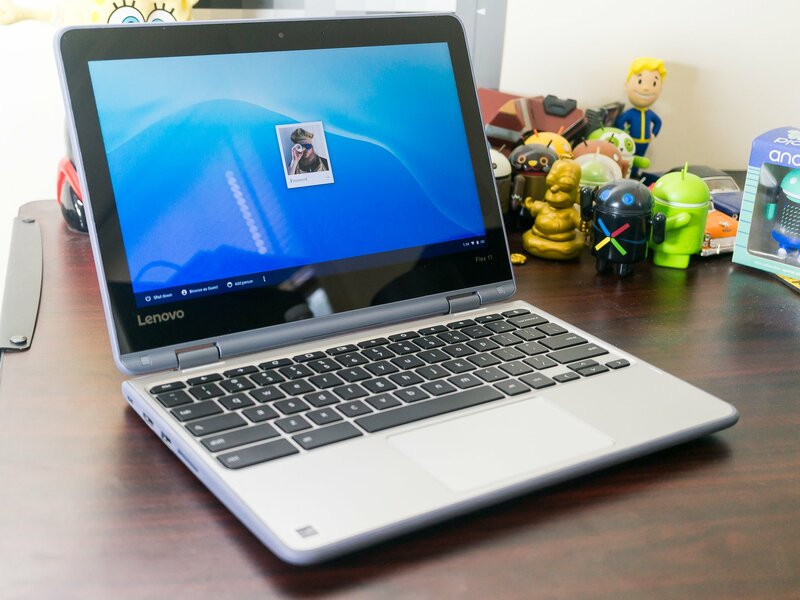 Disadvantages: Higher risk of loss. Advantages: safety in fixing, without risk of loss. Disadvantages: only works for earrings that surround the ear (eg rings). Now that you know everything about earrings and how to use them, take inspiration from the most beautiful earrings of bloggers and compose beautiful visuals with the accessory.